"Hiring a hubby. And giving my house a make-over." 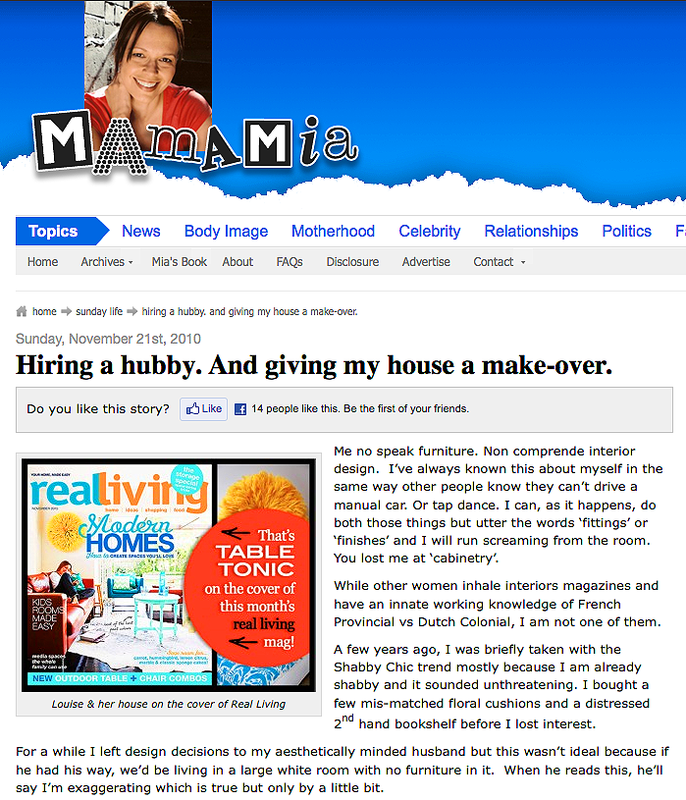 I recently did an interior "zhush" for my beautiful friend (and boss, during my tenure at Cosmopolitan magazine) Mia, and she wrote about it yesterday on her fab blog, the aptly named Mamamia - click to read "Hiring a hubby. And giving my house a make-over". It must've been so great working with this woman -- at the mag and on the design. Hire-a-Hubby, it's absolute genius!